Of course we are all well aware that the naming of these torch products is to tie in with the King of Tact-cool lighting and because it sounds a bit like SureFire, however the UltraFire range is strictly ‘budget’ torches in a tacti-cool look and finish. 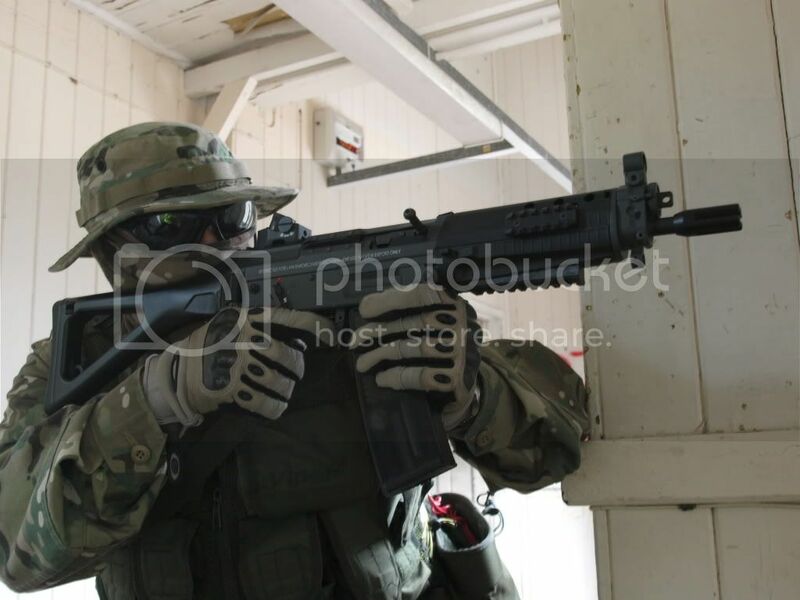 Now being budget conscious airsofters we don’t necessarily need the real-deal kit, come on honestly do we? This UltraFire WF-501B is sure one tacti-cool looking flashlight. Alloy body, in black, of course and O-ring seals for the tail cap and head unit, should stop the odd drop of water entering (I must point out that I’ve NOT tested that!). The light is of course a CREE-LED and it is VERY bright. Its advertised Lumens is 120 but I can’t confirm that, as I don’t have the gear to do that kind of test, but I’m sure its good enough for most airsofting tactical uses. Even with 2 CR123A batteries the torch wasn’t heavy and its configuration for holding was comfortable to be held in the fist with the thumb operating the tail button. Nice scalloped head on the torch should your situation require it, but probably lacks the weight to be used as a jabbing implement in an emergency (Not that you need that in airsoft of coure!). Now, my only criticism here is the tail button! To switch on requires a full ‘click’ to turn on, with a partial press to switch off temporarily rather than a mode were your torch is off and having a partial press to put on temporarily, which I think would be the most common use, where light is only quickly needed. Now the technology on LEDS has improved greatly from years ago, which means greater output light and lower power consumption, so this light puts out a really good beam. The lens is glass but FlashLight Heaven do have plastic replacements available (maybe you should ask for these when ordering one). 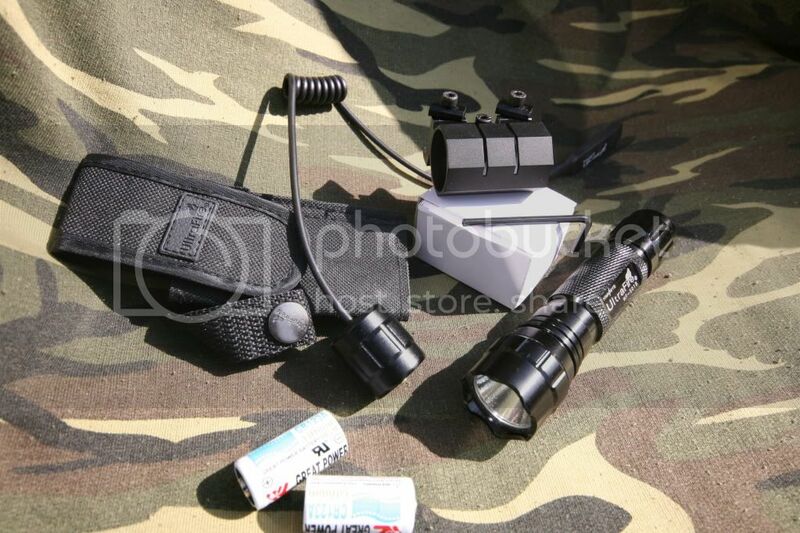 Now I got the kit from FlashLight Heaven which included gun mount, batteries, and the all important tail switch which allows wired remote control and gives that much needed control of the light output during tactical situations. In all, this is a good tactical bundle for the price point and of course suits budget conscious airsofters down to the ground. Yosser says: For airsofting this fits the bill and at a price that won’t break the bank, and you don’t have to order from China or pay costly postage with long waits for delivery. The Ultrafire WF501B feels solid, and is available in Xenon and without the rest of the kit if required. Remember to ask for a plastic lens just in case yours gets shot out (it happens! ).